With a winter chill in the air and twinkling decorations already appearing in the streets, it’s time to start thinking about what to put under your Christmas tree for friends, family and felines! If you’re stuck for ideas of what to get the cat lovers (and cats) in your life this year and then we’ve put together a handy guide of the latest moggy must-haves from our own Cats Protection online shop. The best bit is, by shopping with us you’ll be supporting our work helping kitties across the UK, helping us to make sure they all have a very meowy Christmas and a happy Mew Year too. Make sure you get your orders in by 10 December to make sure they arrive by the big day! If crafting is more your thing at Christmas then we’ve also got some fantastic presents you can make for your own moggy or for the cats in our care. 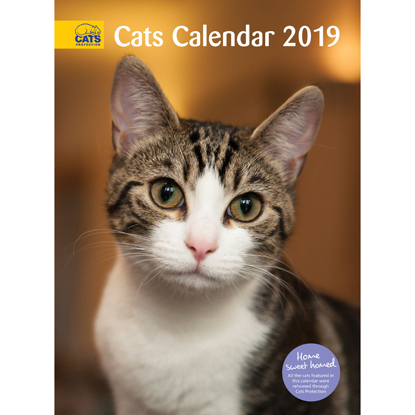 Give your loved ones a whole year of magnificent moggies with the official Cats Protection calendar, featuring gorgeous photos of some of the cats we’ve helped. 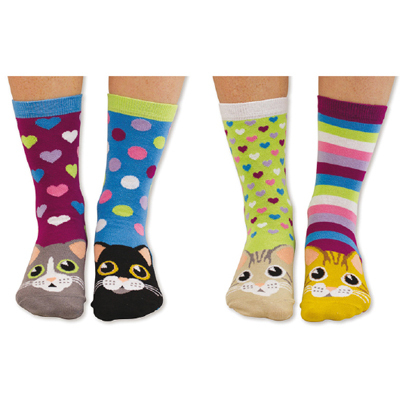 Everyone loves getting socks at Christmas, and this set features colourful cat designs. Purrfect for mixing and matching! 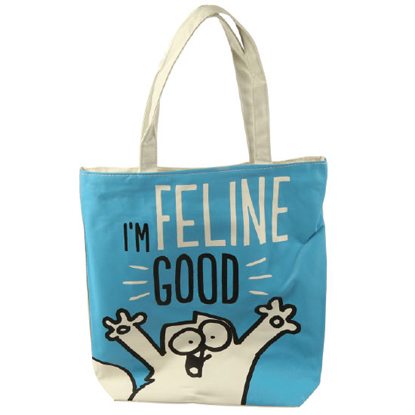 This stylish shopper features everyone’s favourite cartoon cat and is sure to have you ‘feline good’, especially if you fill it with lots of goodies! The perfect accessory for your winter outfit, this soft scarf features a fashionable rose gold cat print to let everyone know felines are your favourite. 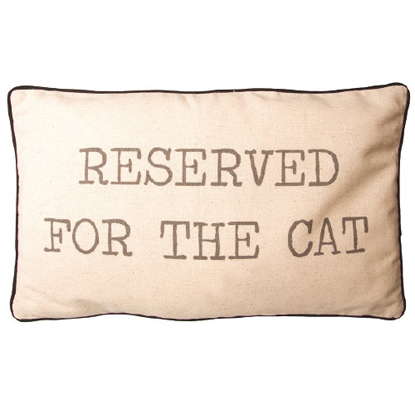 Make sure all your visitors know which seat is reserved for the cat with this fun and functional cushion. 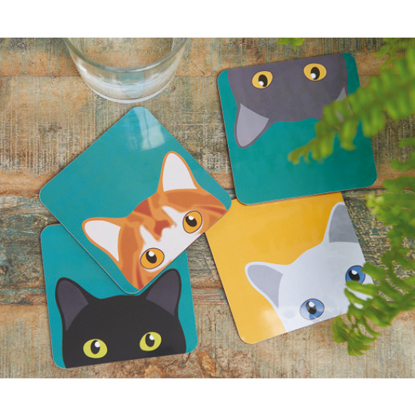 Add a splash of colour to your coffee table with these cute coasters featuring peeking cats of many shades. 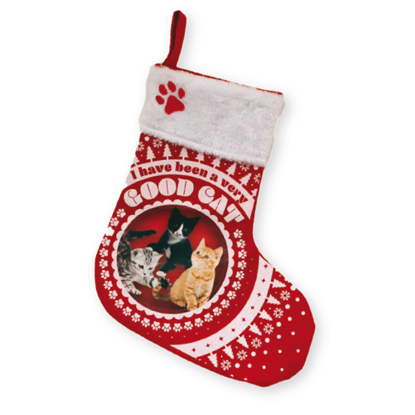 Get your kitty their very own Christmas stocking and fill it with fun toys that will keep them active over the festive season. 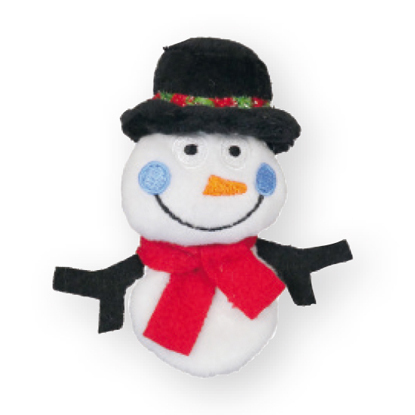 If your cat goes crazy for catnip then they will have hours of fun with this happy snowman toy. 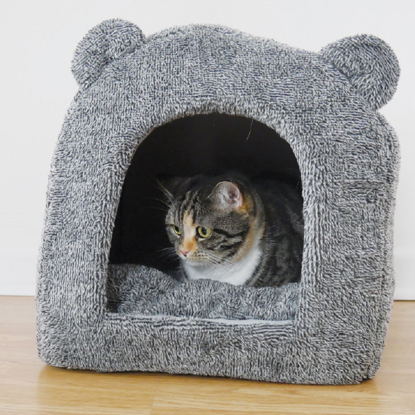 Keep your cat cosy in the winter months with this soft cat bed that’s ideal for catnaps. 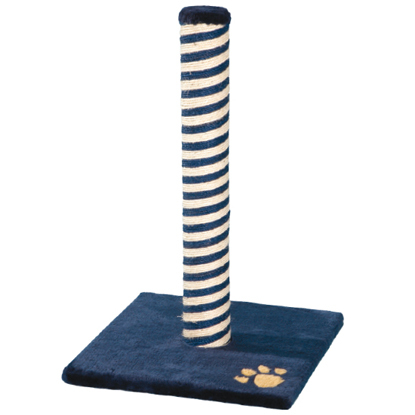 Help your cat keep their claws trim and mark their territory with this sturdy scratch post that’s tall enough for them to really stretch out on. 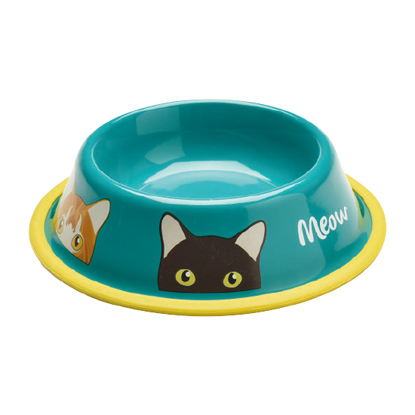 While you’re tucking in to Christmas dinner with all the trimmings, make sure your cat has their own tasty bowl of cat food. 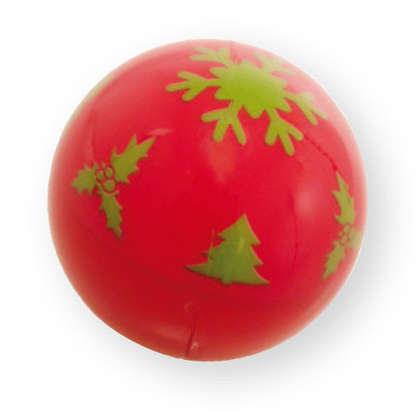 Your kitty will be mesmerised by this fun festive toy that lights up as it moves across the floor. Christmas can be an expensive time of year, so if you would like to still treat your cat but keep the costs down, why not have a go at making them a present instead. Take a look at our Feline Crafty videos on YouTube to find out how to make a cosy cat tent, fun cat toys, a super scratch post and much more using common household items! You could even make some presents for the cats in our care to make sure they don’t feel left out at Christmas. Get in touch with your local Cats Protection to find out how you can donate your crafty creations. Why do cats come in so many different colours? Why do cats hate citrus fruit? Home alone or house full this Christmas? What do cats see when they watch TV?